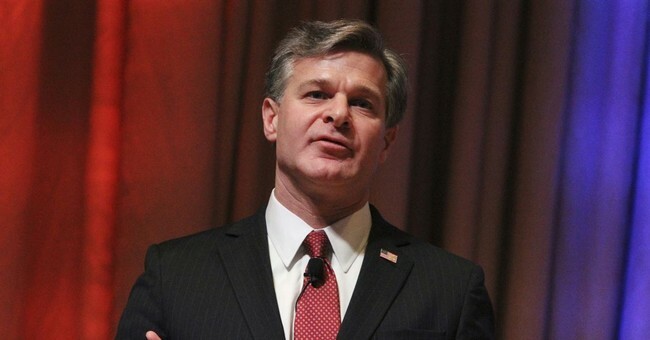 Testifying in front of the House Judiciary Committee Thursday morning, newly minted FBI Director Christopher Wray explained how he is working to prevent political bias from affecting cases at the Bureau. "The first thing I'm doing is respecting the outside, independent investigations that are underway. My preference is not to be one of these people who act first and ask questions later kind of guys but an ask questions first and then act kind of guy," Wray said. "These matters are being looked at, as they should be by somebody outside the FBI and when those findings come to me I will take appropriate action." "In the meantime," Wray continued. "I am emphasizing to every audience I can inside the Bureau that our decisions need to be made based on nothing other than the facts and the law and the rules of our processes and our core values at the FBI and not based on any political considerations on any side of the aisle." Wray's testimony comes after is was revealed top FBI investigator Peter Strzok, who worked for Special Counsel Robert Mueller before being reassigned, texted anti-Trump, pro-Hillary messages to his alleged mistress. Strzok worked on the Clinton email investigation, changed the language in former FBI Director James Comey's exoneration statement of Hillary Clinton to avoid criminality and interviewed former White House National Security Advisor Mike Flynn, who just pleaded guilty to lying to the FBI last week. The Inspector General has launched an investigation into the situation to verify whether political bias impacted the FBI's criminal investigation into Clinton and the ultimate decision not to refer her for prosecution.